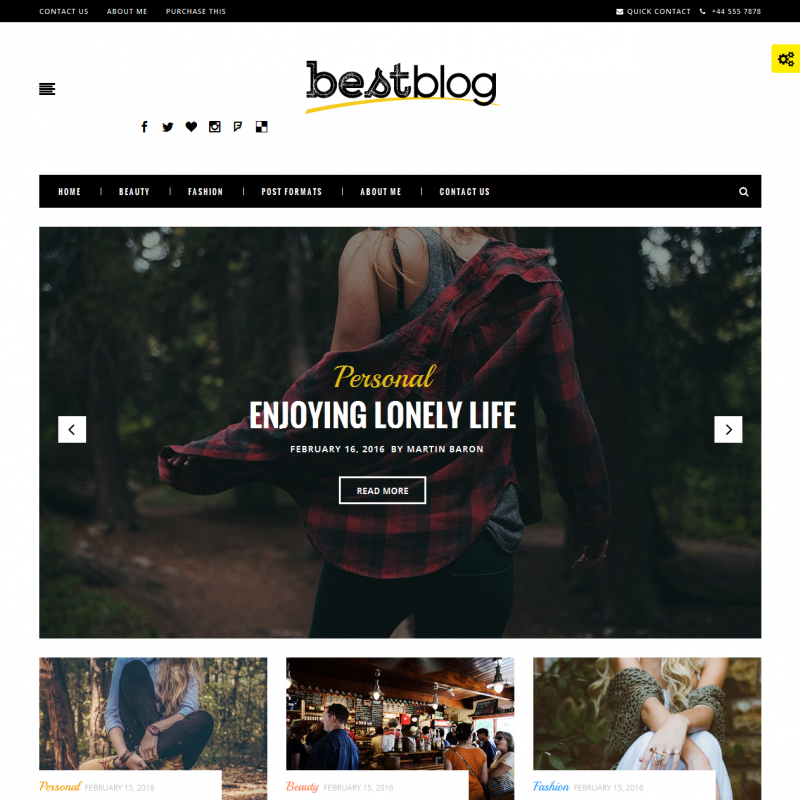 BestBlog is a bold theme for blogs with 3 homepage options, which allows you to choose the sidebar location, full support for post formats and a wide range of settings. 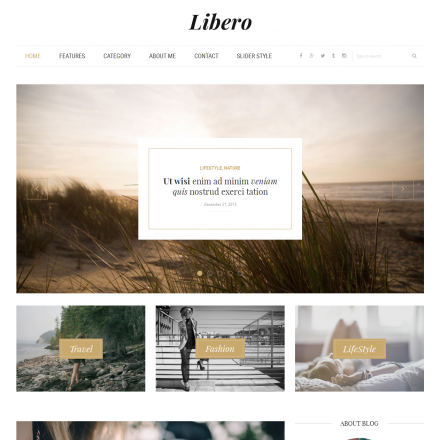 You can upload your own logo and adjust its position, change colors and fonts, add a background image to the site and its header, customize the appearance of the blog and the posts. The posts have a related posts section, social sharing buttons, an author’s info box. 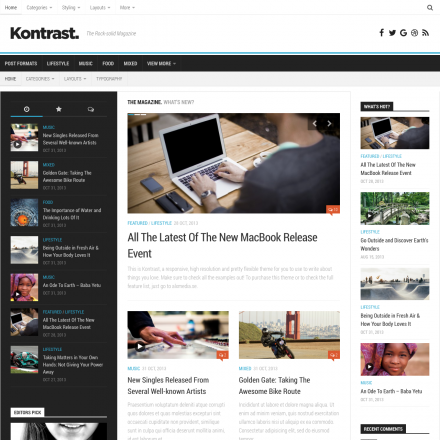 The theme supports breadcrumbs, sticky menu, scroll-to-top button, an off-canvas widgetized panel. 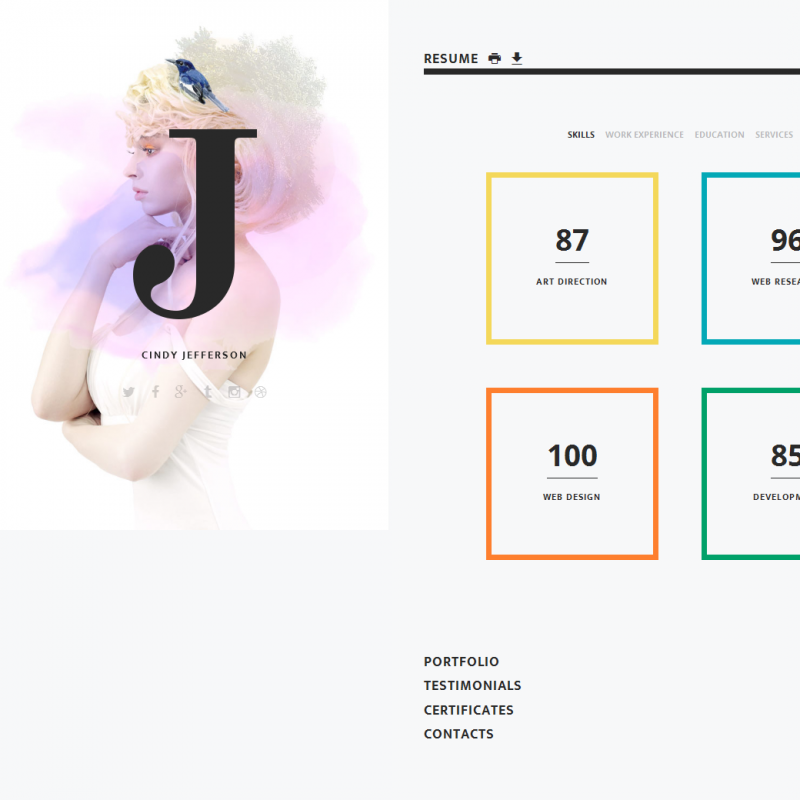 Cindy J is modern one page or multi-page theme for showcasing your personal brand. You can add your CV with an option of downloading and printing it, your clients reviews, your portfolio, links to your social media profiles. 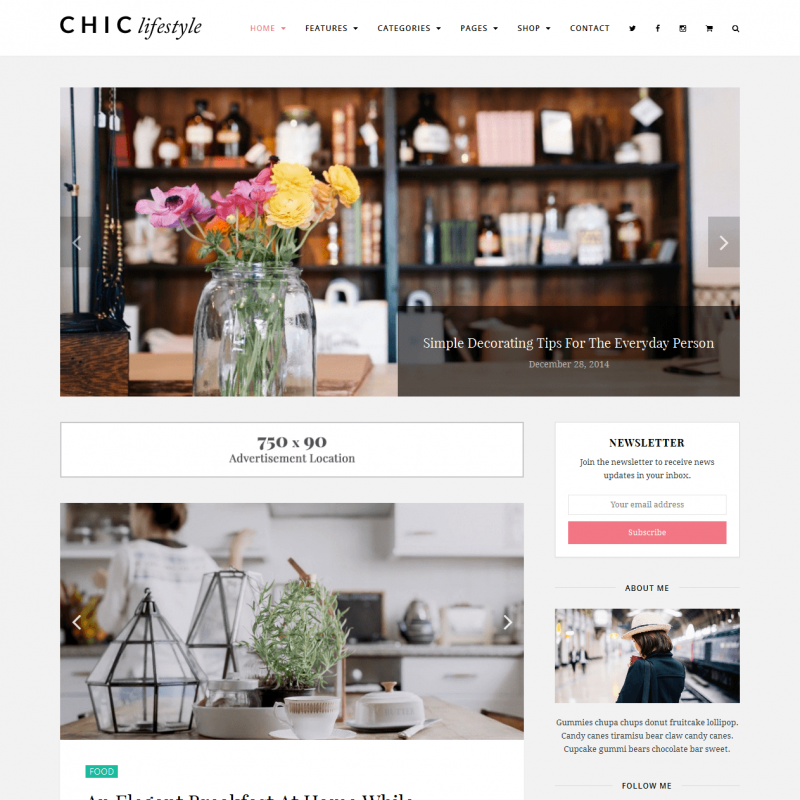 You can also build a full-featured blog, and Cindy J offers 6 layout options for it. 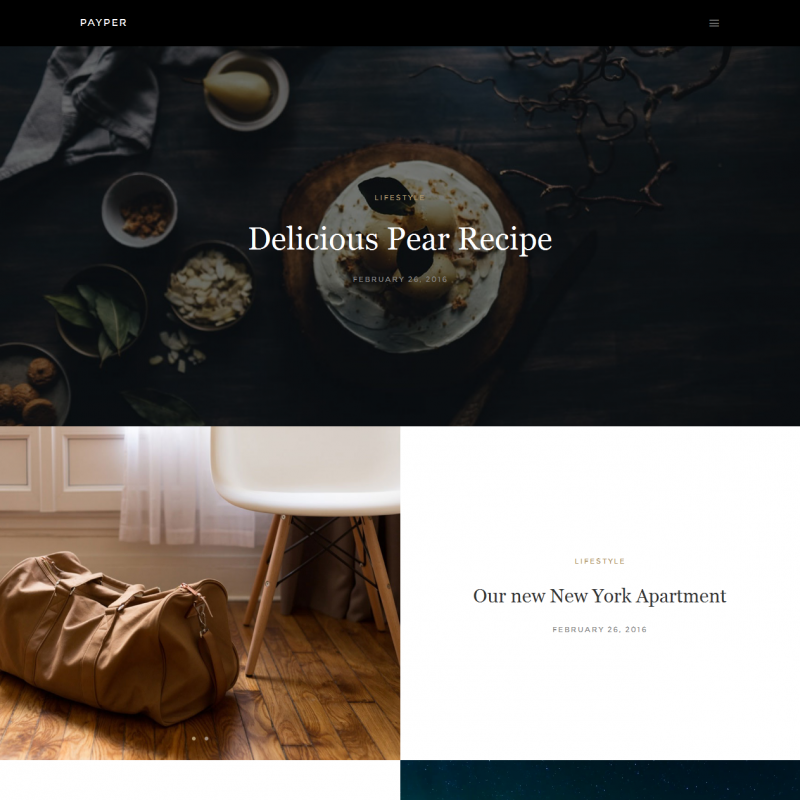 Your blog posts can be designed either in a classic blog style or in the Masonry style, with a beautiful full-width or two-column slider in the upper part of the screen. For your posts, there is a section about the author, share buttons, navigation between the posts, as well as related posts section. You can choose a light or dark color scheme and fine-tune the colors. 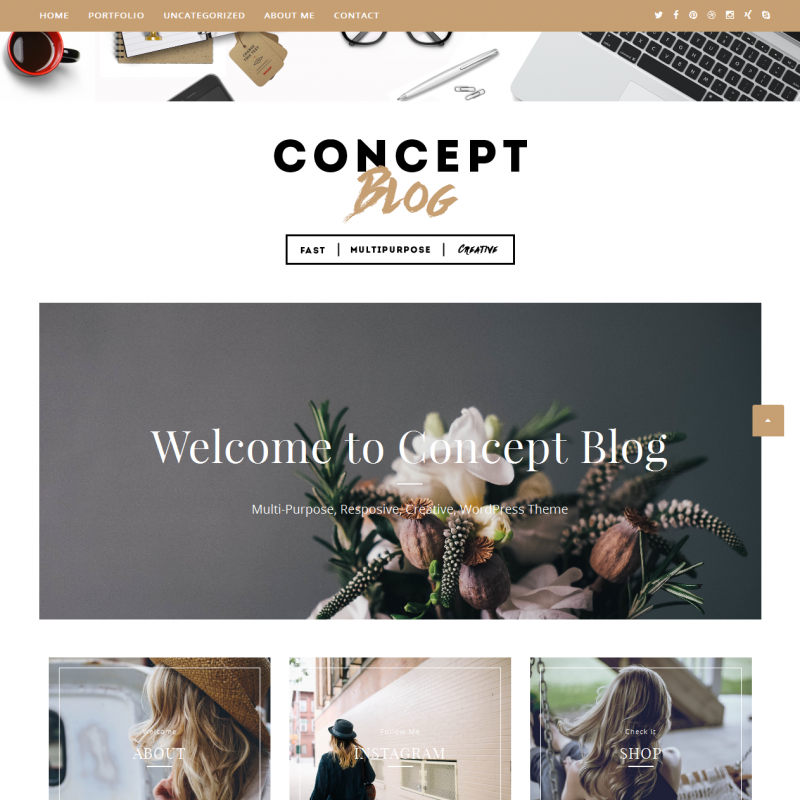 Concept is a modern WordPress theme which is suitable for both magazines and blogs or photo sites. Creativity is the main thing. 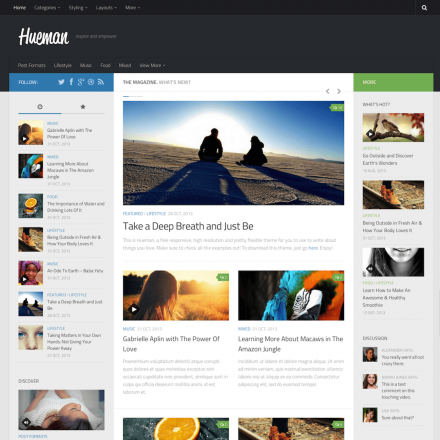 The theme is integrated with social networks, there are 9 blog layout options available, including absolutely unique ones. There is support for post formats. You can put a slider or a carousel on the homepage. There is a related posts section on post pages and you can add a subscription form widget and an author’s bio widget to the sidebar. 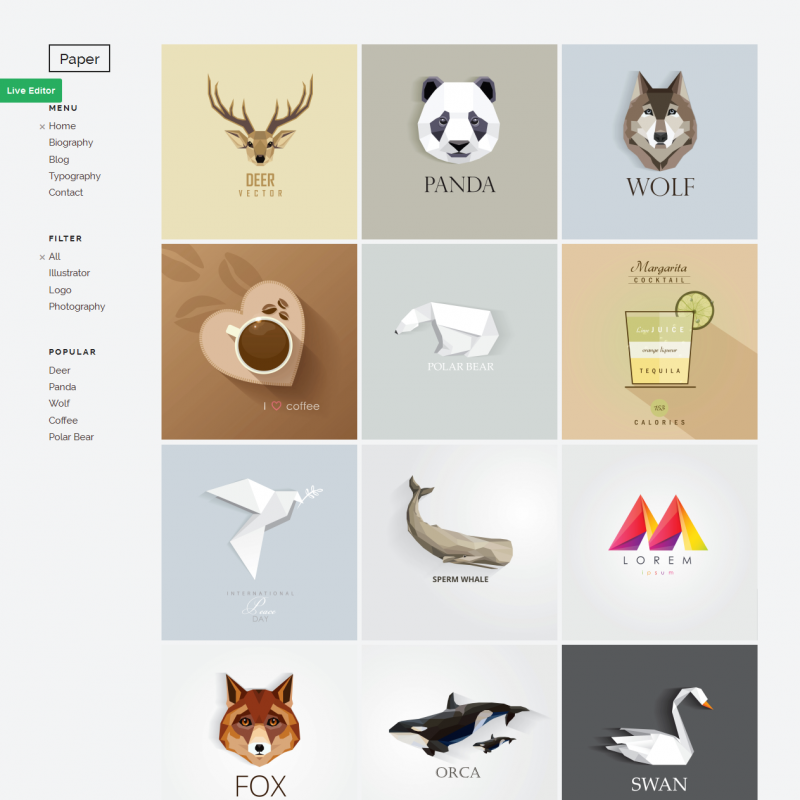 The theme allows you to configure colors and fonts, as well as upload your logo and background image. 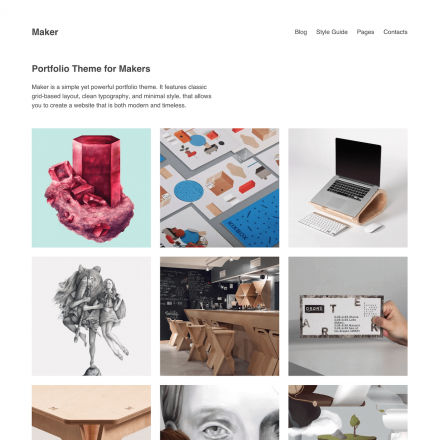 Paper is a minimalistic theme for portfolios and blogs with a vertical menu. The theme supports various post formats, such as gallery, audio, video, image. 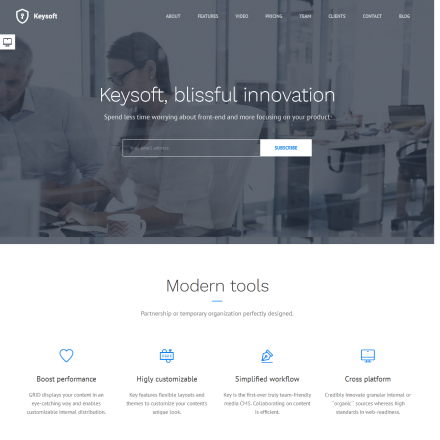 You can add a Parallax background, choose a font from the Google library, use one of the three ready-made color schemes, or change any color the way you like. You can use the Visual CSS Style Editor to edit any aspect of your site design. 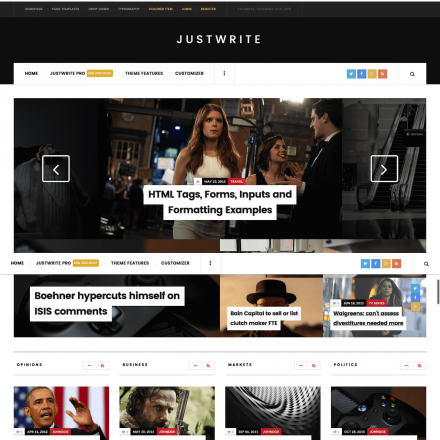 Payper is a theme for bloggers in a minimalistic style with a tiled posts layout for the homepage and a hero header for your articles. The height of the headers (as well as the overlay transparency) is adjustable and can fill 50%, 60%, 70%, 80%, 90%, or 100% of the screen. 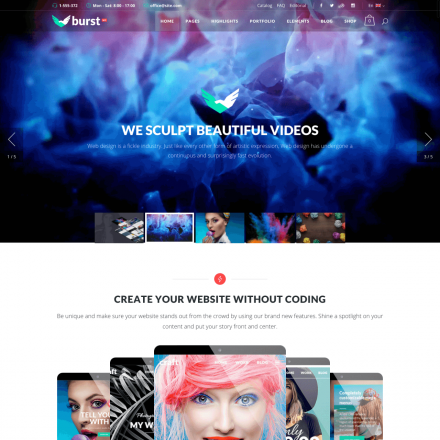 For the header background, you can use either an image or a gallery, as well as a video or a solid color. In your posts, your photos can be displayed in full width, and the width of the text column will remain easy to read. There are an author’s info block and social sharing buttons at the bottom of each post. A user-friendly navigation between posts will increase your visitors’ involvement. 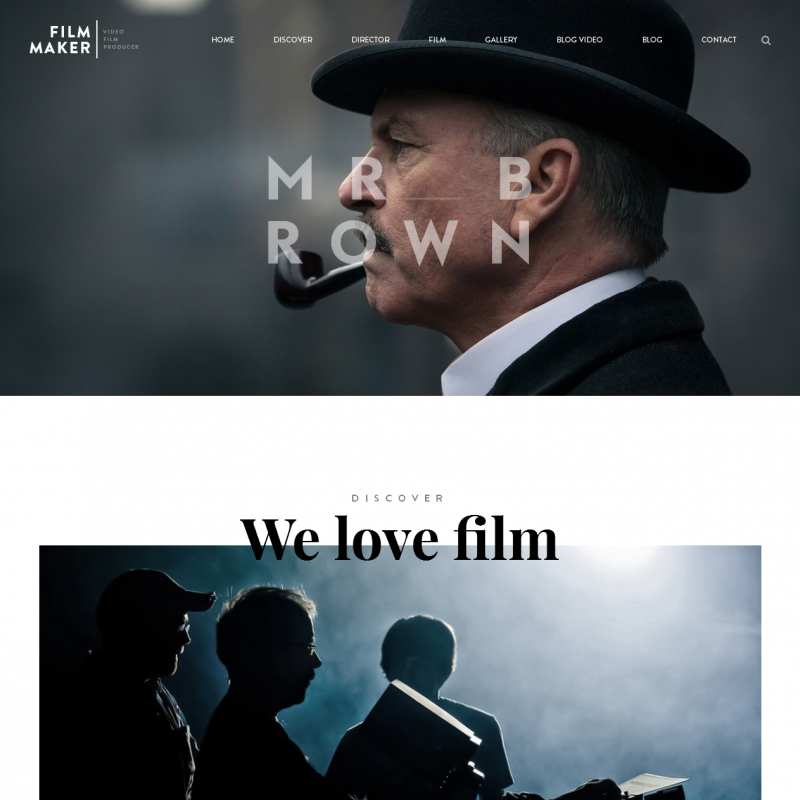 The Print is a simple and stylish theme which allows you to create any homepage layout. 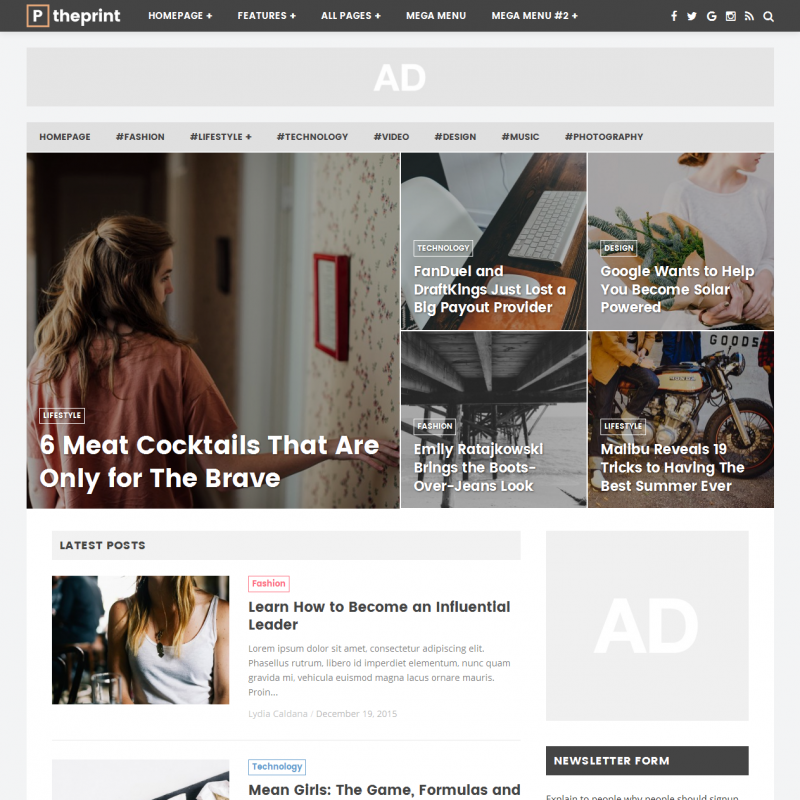 You can use several options for the featured posts section, a Mega menu, a sticky sidebar and header. 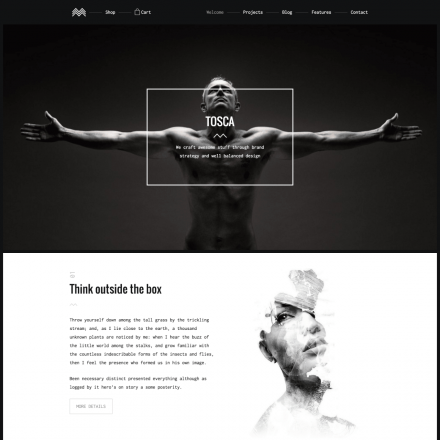 There are 7 options of post layout allowing you to arrange the main image in full width, with or without margins, in full screen or with a sidebar next to the image. 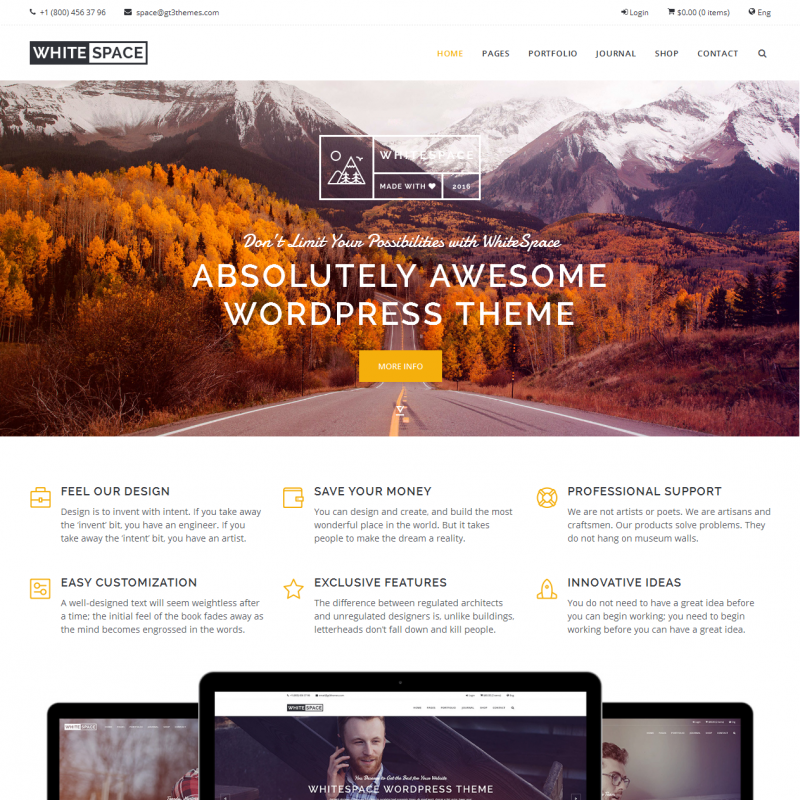 The theme supports various WordPress post formats. With Print, you can write reviews with the support of the Schema.org microformat. You can use not only Google fonts but also Typekit fonts. You can change the theme colors, choose the dark or light background for the top menu. 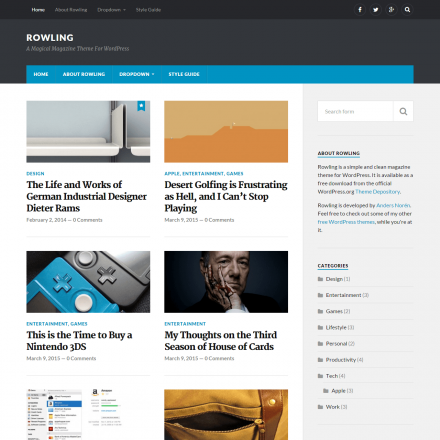 A useful feature of the theme is that you can add a subscription form to your homepage and posts. The subscription form supports a variety of services: Mailchimp, Aweber, Campain Monitor, GetResponse, ActiveCampaign, FeedBurner.